I can't believe that January is over already! The past 4 weeks have really flown by. Every morning we go for a nice long walk on the beach. The boys make up games and different things they can look for along the way. 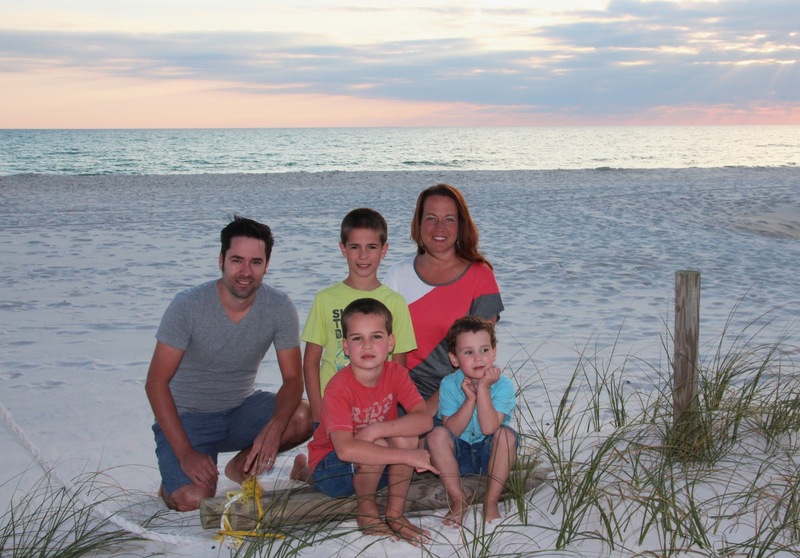 Shells, skipping sand dollars, jumping on big sand piles are among some of the favorites. We spent the day on Saturday at Gulf World. It was a really amazing experience! We got to get really close to a whole bunch of animals, birds and reptiles. I got a kiss from a dolphin! 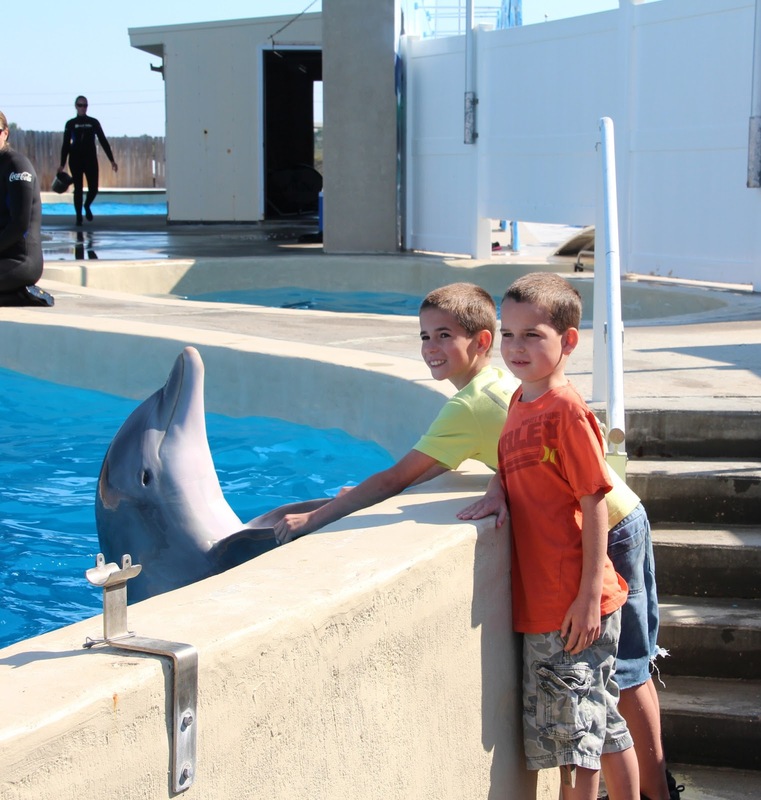 Jakob and Levi got to shake "flippers" with a dolpin! To change things up a bit we went bowling and to the arcade yesterday.